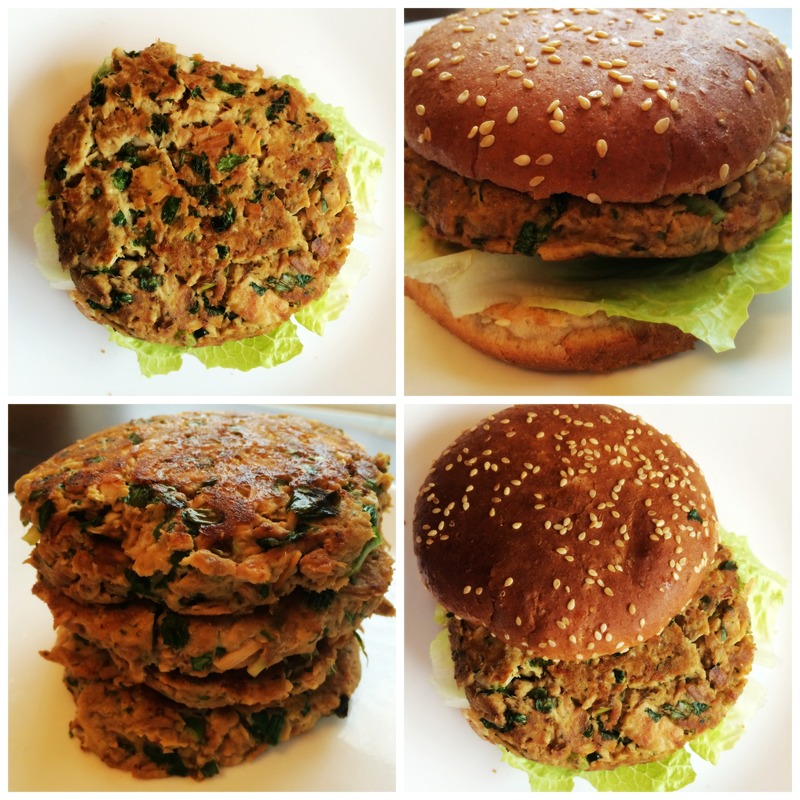 I made these tuna burgers as a recovery meal after a heavy leg day in the gym. They’ve got complex carbs to refuel my muscles with the whole grain bun, protein from the tuna to help repair and rebuild those muscles, and healthy fats from the olive oil. 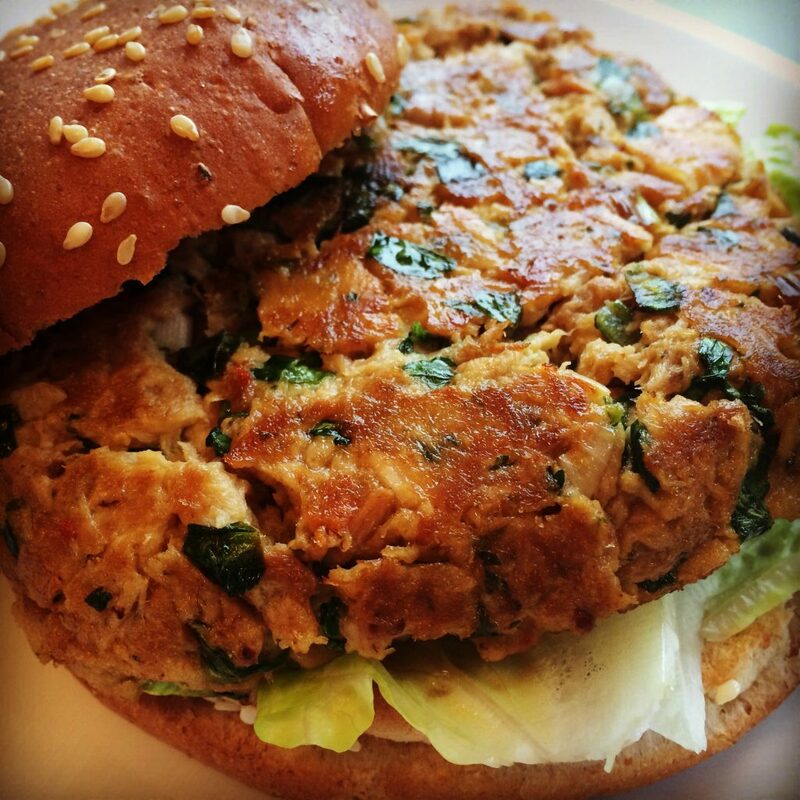 These burgers have the added benefit of antioxidants from the cilantro, garlic, lime and green onions to help with inflammation and muscle soreness. They taste as good as they look! I’m glad this batch makes five because I was happy to have leftovers to come home to the next day. In a large bowl, mix together cilantro, lime juice and zest, green onions, 3 of the garlic cloves, ginger, soy sauce, mustard, eggs and bread crumbs. Add tuna and mix well. Form 5 patties and refrigerate for 30 minutes to set. Spray a skillet with non-stick cooking spray and sauté the burgers on medium heat for 3-5 minutes on each side until lightly browned. Serve on a toasted bun with lettuce and tomato (optional) and green beans on the side.